In Norse mythology the Valkyries (immortal, war-like virgins) would come galloping across the night sky upon their horses equipped with helmets, spears and armor that would glow and shimmer in the darkness. These lights, colored red, blue, violet and green, would spread in curtains from horizon to horizon, amazing the mortals below. This is how the Vikings explained a phenomenon we now call the aurora borealis, or the Northern Lights. The lights are usually visible in the sky from the northern latitudes though under unusual conditions they can be seen as far south as Florida and Mexico. A similar phenomenon known as the aurora australis (or the Southern Lights) can be appreciated from the southern latitudes. Historically these have been less easily observed by people, however, because of the smaller land mass and lower populations in the area of the South pole when compared to the North pole. Colors: Mostly green, with red, pink, blue and violet. Discovered: Kristian Birkeland developed the first correct theory of the phenomenon in 1908. The name of the effect itself comes from the Roman god of the dawn, Aurora, and the Greek name for the north wind, Boreas. The French scientist Pierre Gassendi is generally credited for coming up with the title in 1621; however, written observations of the effect stretch back as far as 2600 B.C in China. : Fu-Pao, the mother of the Yellow Empire Shuan-Yuan, saw strong lightning moving around the star Su, which belongs to the constellation of Bei-Dou, and the light illuminated the whole area. Different societies have explained the phenomenon in diverse ways. The Alaskan Inuits thought of the lights as the souls of deer, seals, salmon and whales that they hunted. The Menominee Indians in North America thought the glow must be the torches of giants that lived in the North. In the Middle Ages the Europeans assumed that when the shimmering signs appeared in the sky they must be a message from God. Many groups thought of the lights as clashing armies in the heavens, perhaps a warning of an impending disaster. 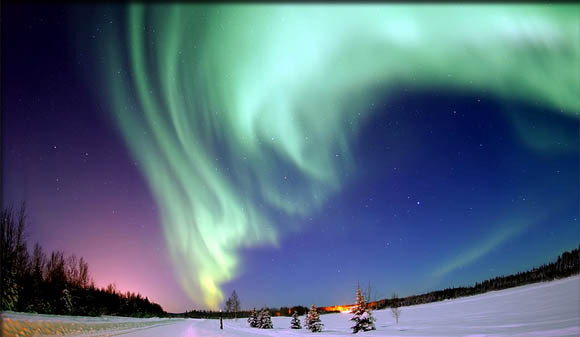 In 1862 the aurora borealis made a rare appearance in the skies of Virginia during the Battle of Fredericksburg, a sign that the Rebel forces took to mean that God was on their side. 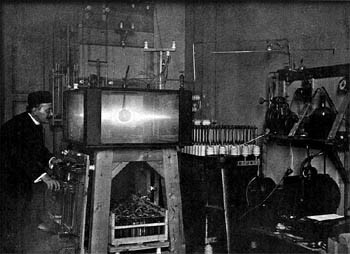 Kristian Birkeland conducted a series of experiments in the early 20th century that helped establish the mechanism behind the aurora borealis. Modern times brought scientific explanations. In the late 1700's Benjamin Franklin observed the Northern Lights during his trips across the Atlantic to Europe and theorized that they were caused by a concentration of electrical charges in the polar regions intensified by the snow and other moisture. He thought that as the area became overcharged there must be a release of power into the air causing the illumination. Franklin was right about the phenomenon involving electricity, but it wasn't untill Kristian Birkeland, a Norwegian scientist, did a series of experiments in the early 20th century that a full theory of effect was developed. Birkeland thought that electrons coming from the sun were guided to Earth's poles through the planet's magnetic field. There they interacted with the Earth's atmosphere to cause the lights. We now know that in the corona (or upper atmosphere) of the sun, temperatures can reach over a million degrees. This is so hot that atoms break down into their component parts: electrically-charged electrons and protons. Some of them are launched out from the sun at up to 500 miles per second in a phenomenon known as the "solar wind." After about three days these charged particles reach the earth. From below a curtain can appear as a series of rays. The solar wind would be dangerous to life on our planet, but fortunately our the earth possesses a magnetic field generated by the rotation of planet's iron core. This field, called the magnetosphere, directs most of the charged particles around the globe. A small portion of the particles, however, are trapped in the field and follow it down to the earth's magnetic North and South Poles. The electrons remain invisible to our eyes until they collide with gas molecules in the upper atmosphere. When an electron is absorbed by an atom, the atom becomes ionized, or excited. The atom then loses that excitement by emitting a photon of light or by colliding with another atom or molecule. The color of the emitted photons depends on which gas molecule is struck and at what altitude. At heights of 250 miles (402km) or above, oxygen will glow green and below that point, red or pink. A nitrogen molecule hit from 80 to 100 miles (80 to 160km) up produces blue or violet. Between 60 and 80 miles(96 to 128km) in altitude both nitrogen and oxygen glow pink. Auroras are not limited to Earth, but have been seen on Jupiter, Saturn, Uranus and Neptune along with some of their moons. Venus also has an Aurora effect, but because the planet has no magnetic field, the lights are distributed in patches across the entire planet, not just around the poles. 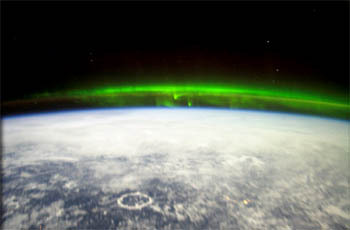 An aurora in the upper atmosphere as seen from the International Space Station. The shape of the aurora glow in Earth's sky depends on the shape of the magnetic field lines and the location of the observer. They are most often seen as curtains that tend to run east to west. If the observer is farther south than the aurora it will appear near the horizon, if he is directly beneath it, it will be seen overhead. Lights that are located directly above often appear more as rays than curtains because of the perspective of the viewer. 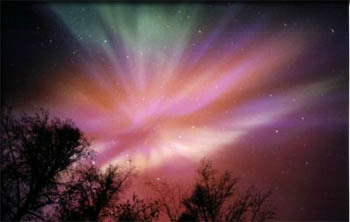 The shape of the aurora can be static for many hours or change rapidly. Their brightness varies from a barely visible glow to giving enough illumination so that it is possible to read a newspaper at midnight. The lights are never bright enough, however, to be seen when the sun is up. Usually the effect is limited to the auroral zone, which is typically 10� to 20� from Earth's magnetic poles. However, powerful solar flares can cause an increase in the solar wind setting off a geomagnetic storm. The incoming wind can compress the magnetosphere of the earth, allowing charged particles to come closer to the planet than they normally would. 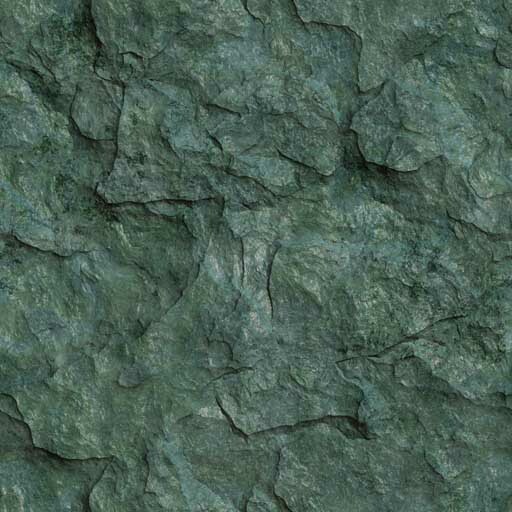 This can cause serious damage to satellites in high orbit. The storm can also force many more charged particles to stream into the Earth's atmosphere at lower latitudes than normal. This has been known to cause power outages on the ground. Under these extreme conditions it is possible to observe the aurora borealis much further south than usual. In September of 1859 a gigantic solar flare caused perhaps the most spectacular Northern Lights display in recorded history. New York Times reported that even as far south as Boston that the aurora was "so brilliant that at about one o'clock AM ordinary print could be read by the light". 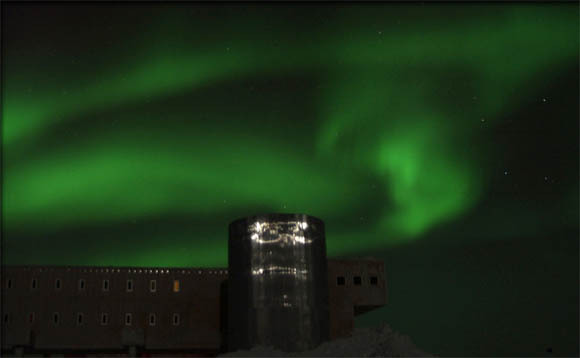 The connection between this solar flare and the increase in the aurora borealis was so obvious that it helped scientists firmly establish a link between the two and sent them down the right path to finally explain this wonderful, but mysterious phenomenon of nature.